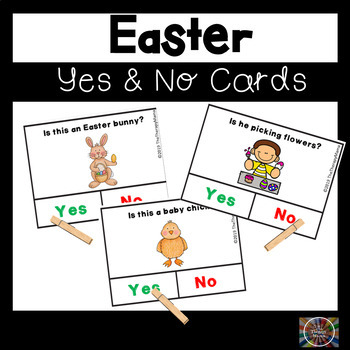 Are you looking for a way to target yes and no questions and vocabulary? Look no further! 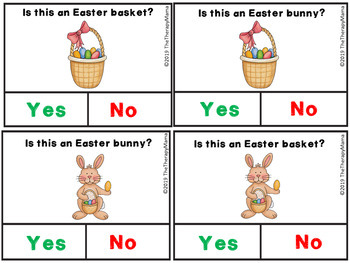 Here is a set of 40 yes and no questions related to Easter vocabulary. They include a place to clip a clothespin, use a dry erase marker, dauber or other markers. This is a great activity for speech language therapy or the classroom setting. 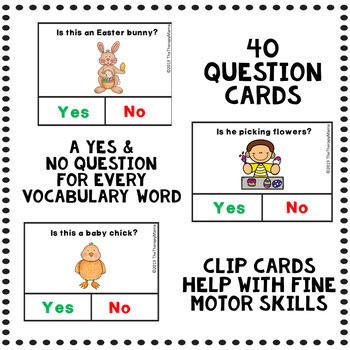 This will help you target both receptive language, expressive answers and fine motor skills. Check out my other Easter products! If you have any questions or suggestions, please feel free to contact me. Make sure you “Follow” my store to receive notifications of new products and special offers. And don’t forget, if you rate products, you gain points to get $ of future purchases.